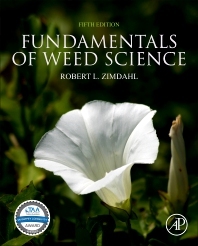 Fundamentals of Weed Science, Fifth Edition, provides the latest information on this constantly advancing area of study. Placing weed management in the largest context of weed research and science, the book presents the latest advances in the role, control and potential uses of weed plants. From the emergence and genetic foundation of weeds, to the latest means of control and environmental impact, the book uses an ecological framework to explore the role of responsible and effective weed control in agriculture. In addition, users will find discussions of related areas where research is needed for additional understanding. Explored topics include the roles of culture, economics and politics in weed management, all areas that enable scientists and students to further understand the larger effects on society.